The little gland with a big job. 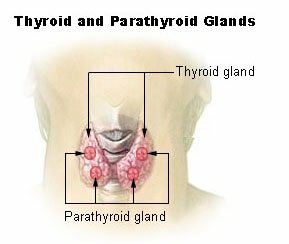 Your Thyroid Gland is a gland located in the lower portion of your neck below your adam’s apple. This gland is an endocrine gland which means it is responsible for regulating many of your body functions. Some that may even surprise you! It functions to produce hormones and release them into your body. 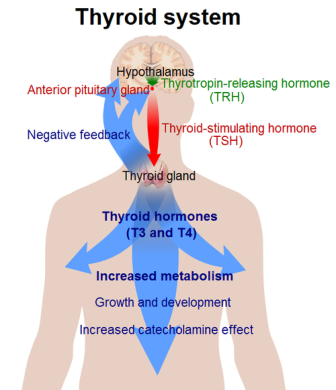 When it produces too many hormones, you become Hyperthyroid. Too little, and you become Hypothyroid. The thyroid closely resembles the shape of a butterfly or shield and the name actually comes from the Greek word for shield. Due to my thyroid disease you can frequently find me wearing necklaces shaped like a butterfly. I think it’s a reminder of where I started and how far I have come! The hormones that are released into your body are called T3 and T4. These may sound familiar to you if you have had blood tests to check your thyroid levels. These hormones are released into your blood and are carried to various organs. I was surprised when I learned that these hormones circulate and effect so many different body functions. Your liver, kidneys and spleen also play roles in the critical conversion of T4 to T3. It is important to note that because this gland releases these hormones it directly effects your metabolism. For years I struggled with my weight and ate absolute infant portions of food (seriously……I’m not kidding) and was just barely able to lose a pound or even just maintain my weight. So, if you struggle with your weight and are not sure if you have a Thyroid Disease problem… it may be the culprit. Most of us take for granted all that this little gland does. As long as it does its job and continues to regulate our entire body we are fine. But once we start having thyroid gland problems many symptoms start to arise. Many patients have had swelling and/or nodules that have been the first indication that they have a problem. If you feel any swelling or nodules consult your physician right away.